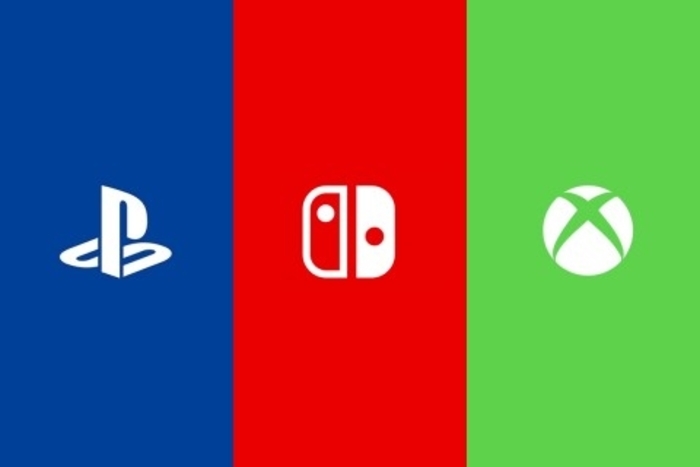 Author’s Note: When going forward with this list we decided to not rank these weapons due to different playstyles and builds complimenting different guns. With that, we are basing our choices off of the weapon’s viability in PvE (Player vs. 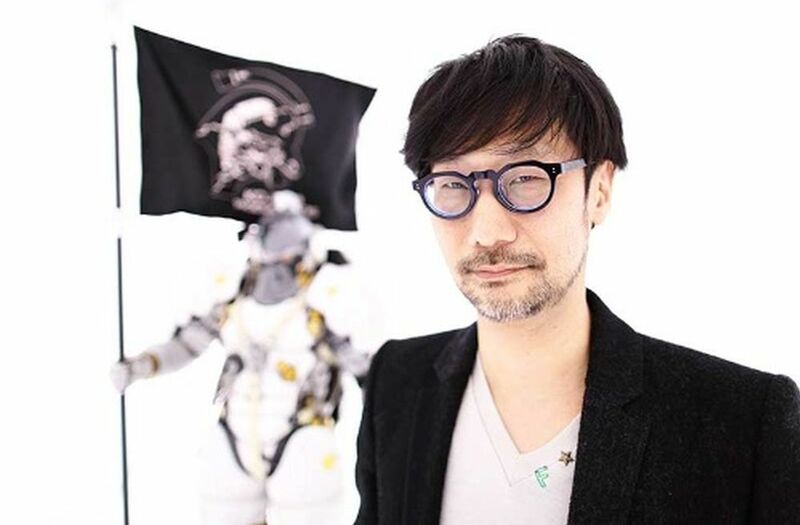 Environment) content such as Strikes, Nightfalls, and most importantly Raids. Each gun is judged not only on their base stats, but their perks and how these translate across all PvE content currently available in Destiny. If a weapon is only useful in one or two encounters then it’s a specialty weapon that should be carried but isn’t one we recommend if you can only have one exotic to take with you. The Bad Juju is a Pulse Rifle that had a rather bad reputation when Destiny first released, as its base stats and mediocre perks offered nothing special to those who wished to use it. This all changed when The Taken King dropped, as the Bad Juju moved from one of the worst exotic Pulse Rifles to one of the best. Most of this was thanks to the String of Curses perk that not only reloads your weapon and gives you a damage boost after each kill, but helps charge your super at a fast rate. Given Bungie typically likes to throw waves and waves of base enemies at the player, the Bad Juju is perfect for building a super efficiently and quickly. 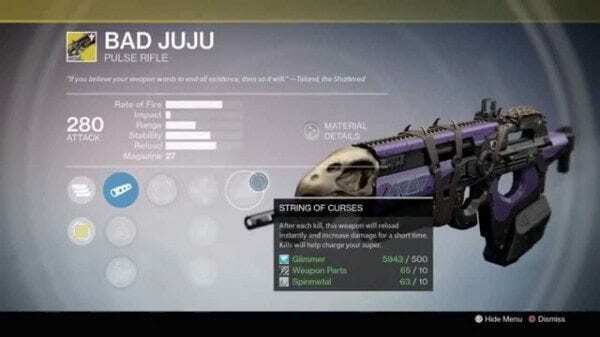 Bad Juju is also an effective weapon for those who are not focusing on leveling up their Intellect stat, as this weapon easily compensates for the long supercharge. It’s a fantastic tool that lends a nice balance to those who are more keen on improving both Discipline and Strength. While it has a lower impact, being able to boost the stability and fire this weapon in full auto makes it a treat to use in combat. 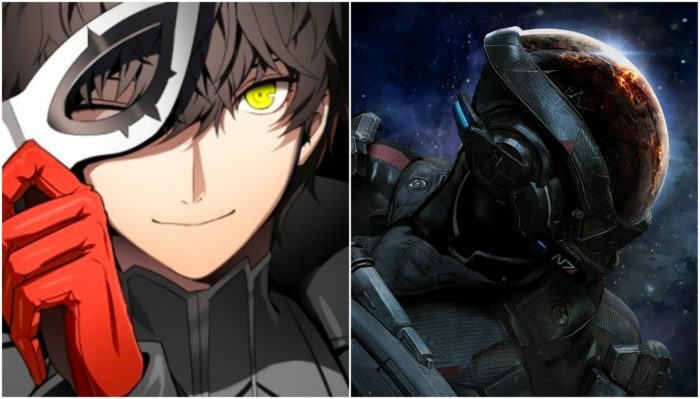 Persona 5 vs. Mass Effect: Andromeda: Which Should You Buy?